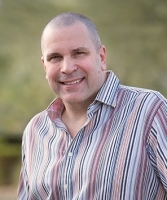 David Scott Peters is a restaurant consultant, coach, speaker and founder of TheRestaurantExpert.com, a company committed to the success of independent restaurants. Peters is a restaurant industry-recognized blogger and his writing is regularly published in restaurant industry publications, such as Restaurant Hospitality, Catersource, and QSR Magazine. TheRestaurantExpert.com offers an exclusive online restaurant management software designed specifically to meet the complete operational needs of independent operators. Combined with one-on-one coaching and group workshops, TheRestaurantExpert.com is helping independent restaurants find success in the highly competitive restaurant industry. Learn more about how TheRestaurantExpert.com can help your restaurant at www.TheRestaurantExpert.com.